Alzheimer’s Disease and Frontotemporal lobar degeneration are two of the most common forms of dementia. These disorders have been linked to insoluble protein aggregates which, in turn, trigger a neurodegenerative cascade that leads to the clinical symptoms. Current therapies can temporarily improve clinical symptoms, but no disease-modifying treatment targeting the underlying molecular mechanism (e.g., amyloid deposition in AD and tau/TDP-43 deposition as well as loss of progranulin in FTLD) is yet available. The failure of the majority of disease-modifying drugs in patients with Alzheimer’s Disease has generated increasing belief that treatments are carried out too late in the disease course to be effective. Clinical trials in patients with mild cognitive impairment due to Alzheimer’s Disease are currently under way, but there is reason to believe that also this stage might be too advanced for drugs to make a difference. The focus of intervention is therefore moving earlier, at a stage when protein alteration and its downstream effects (e.g., neurodegeneration) are likely to be minimal and the chance of halting or even reversing pathology would be higher.  Carriers of pathogenic mutations for Alzheimer’s Disease or Frontotemporal lobar degeneration represent a unique population to study early disease stages because neuroanatomical, metabolic and biochemical alterations can be identified several years before the onset of symptoms. These forms of disease are transmitted with an autosomal dominant pattern and 50% of the patient’s descendants has the chance to inherit the pathogenic mutation. From a translational perspective, targeting mutation carriers offers an attractive model to test disease-modifying drugs in clinical trials. Several mutations responsible for familiar forms of Alzheimer’s Disease and Frontotemporal lobar degeneration have been identified, but others are still unknown. Mutation in genes codifying for amyloid (APP), presenilin-1 (PSEN1) and presenilin-2 (PSEN2) proteins are known to be responsible for Alzheimer’s Disease. Genes codifying for progranulin (GRN), microtubule-associated protein tau (MAPT) and the chromosome 9 open reading frame 72 (C9orf72) are known to be responsible for mutations linked to Frontotemporal lobar degeneration.  the GENetic Frontotemporal Dementia Initiative (GENFI), targeting Frontotemporal lobar degeneration, in Europe and Canada.